9to5Google was the first to report on these changes to both Google Docs and Voice, with the tweaks rolling out to most over the last week. Left: Old layout/design. Right: Recently updated "Material Theme" a e s t h e t i c.
As with all of these Material Theme/Design 2.0 changes, the most immediately noticeable modification is probably the new hollowed out, monochrome iconography, Product Sans fonts, and more rounding to UI elements. Collectively, that's Google's new schtick. The navigation bar on the left is now thicker and includes text, as well as additional icons for conveniently switching between more sections of the site. The background for selected navigation sections is now green to match the Voice logo, though it remains gray in the conversation view. YMMV, though, as my personal account seems to be in a transitional layout at the time of writing. It has the updated iconography, colors, and fonts, but it's missing the larger bar on the left, as well as the new shortcuts to the Archive and Spam sections. YMMV, this is another layout we've spotted. So far as we can tell, this change should be rolled out to everyone, though the layout may be slightly different as noted above. 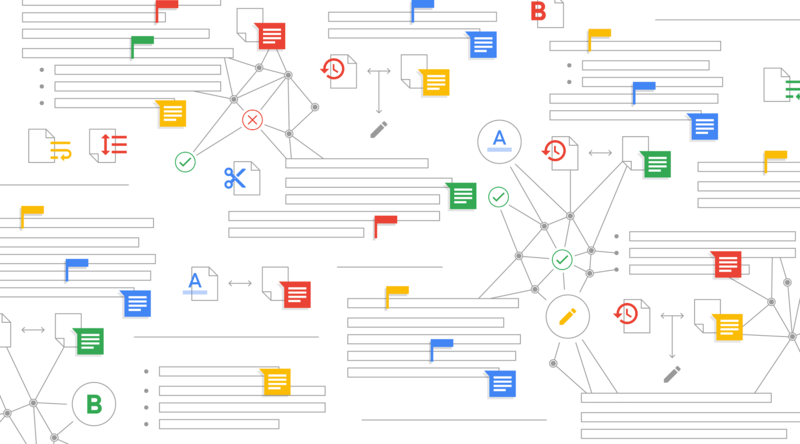 The tweaks to Google Docs are more subtle — depending on how you access Docs or Sheets, you may never even see them. All the new Material Theme modifications are on each individual service's homepage (e.g., docs.google.com and sheets.google.com). Sorry for the lack of a comparison, we don't have the old layout on file. 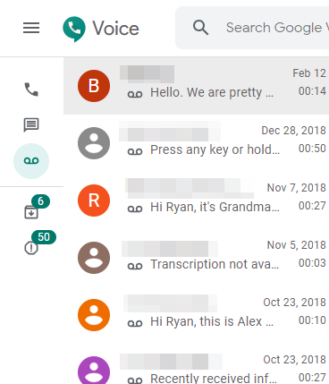 The search bar isn't so rounded in Docs as it is on Google Voice (Google's various services have always lacked when it comes to this level of consistency), but otherwise, it's clearly Material Theme. Though we don't have a screenshot for comparison in the ol' Android Police files, changes here include the obligatory update to Product Sans, hollowed out icons, and Google's snazzy new multicolor plus sign for creating a new file. 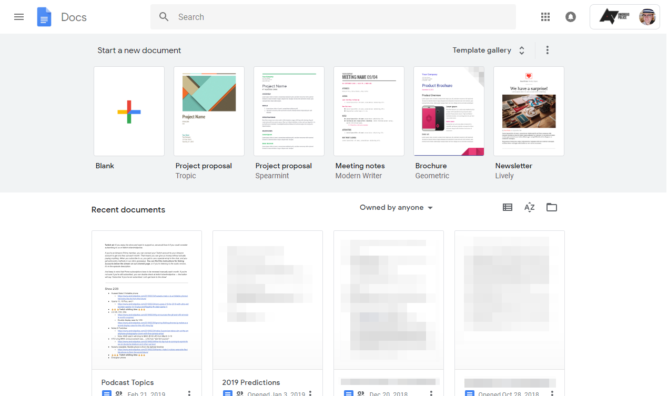 That last bit should be familiar if you've used the Gmail or Google Drive redesigns, it's becoming ubiquitous across the company's services. Sheets (above) and Slides (below) with the new Material tweaks. I should note, my personal account doesn't have the same gallery-style view for creating new documents from templates for some reason, though it does have the other Material Theme changes present. None of these changes are too substantial, but they're a subtle step toward a better unification in interface and design when it comes to Google's various services and sites. Excluding YouTube, of course, which remains its own special design dumpster fire.